We have just finishing reading Tech Tips for Teachers and we found it really a wonderful resource worth the shout-out here. 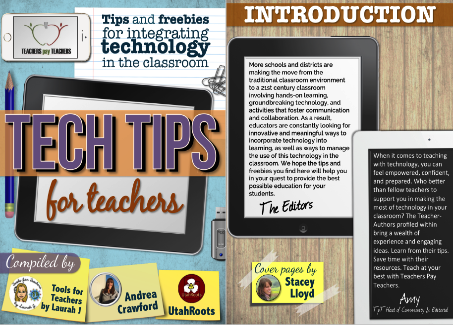 This is basically a free eBook (around 32 pages) that features a wide variety of interesting tips and insights to help teachers integrate technology in their classrooms. The great thing about this work is that it is realized by people from within the trenches, they are fellow teachers with years of experience teaching with technology.